A friend recently asked me about my own experiences with breastfeeding for natural pregnancy spacing. As a mother of eight, who has nursed extensively and often never had a return of my menses before getting pregnant again, I have an interesting story to tell. The friend who prompted this post had asked me about using the lactational amenorrhoea method. This means relying on the delayed return of menses while nursing to prevent the next pregnancy. Let me say here and now, you can get pregnant while nursing. Even if your menses has not returned. For those of you who have not had children, did not nurse, or simply did not experience lactational amenorrhoea (delayed return of menses while nursing), I will simply say that it is a nice perk to nursing. It truly is carefree and convenient to not have to worry about your period and know that it is NATURAL (as opposed to pharmaceutical) suppression. However, the obstetrician for my second birth said it best when he told me, "Use the lactational amenorrhoea method only so much as you are not devastated should you find yourself pregnant again." Baby #1 My menses returned 12 months after my first birth, at the same time baby self-weaned from my breast. I became pregnant during the month after this one menses. Baby #2 My menses never returned after my second birth, as I became pregnant while nursing when the baby was about 10 months old. I continued nursing her until about 15 months, when she self-weaned. Interestingly, I did not realize I was pregnant with the third until she kicked (about four months pregnant) since I had no classic signs of pregnancy (no menses missed, and was still nursing so no sore breasts). Baby #3 My menses never returned after my third birth, as I became pregnant while nursing when the baby was about 10 months old. I continued nursing her until about 16 months, when she self-weaned. Baby #4 My menses never returned after my fourth birth, as I became pregnant while nursing when the baby was about 18 months old. I continued nursing him until about 23 months, when I weaned him. Baby #5 My menses returned about 12 months after my fifth birth. 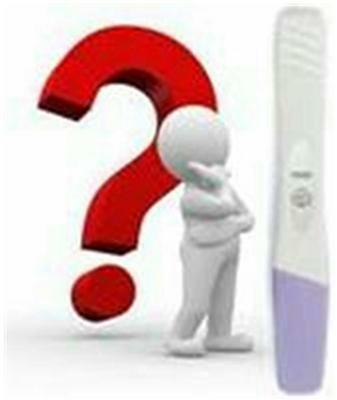 I did not become pregnant as I was divorced from my husband very soon after his birth. I continued nursing him until about 26 months, when he self-weaned. Baby #6 Strange to me, my menses returned right away after my sixth birth. I just attributed that to having a new husband, but the strange pattern did not recur with our subsequent children. I became pregnant while nursing when the baby was about 16 months old (I probably would have conceived sooner, except that my husband and I were residing in different countries at the time and I only saw him every few months). I continued nursing him throughout the entire pregnancy until about 25 months, when he self-weaned. He tandem nursed with his younger brother for about one month. Baby #7 Menses never returned after my seventh birth, as I became pregnant while nursing when the baby was about 8 months old. I continued nursing him until about 15 months, when he self-weaned. Baby #8 My menses has not returned since the birth of my eighth baby, 9 1/2 months ago. I am not pregnant, that I know of, but wouldn't be surprised if I turn up pregnant in the next few months or so. Allahu alim. So in conclusion, it is entirely possible and probable to conceive while nursing, even if the menses has not returned. It is not a method to rely on, however, it does seem to allow for "adequate" spacing of pregnancies. At least in my case and in my opinion of "adequate," and Allah knows best. Merit so much on behalf of this. Keep up the advantageous happen as expected! My OB plunk me on calcium and vitamin D at some point in breastfeeding and at this time I give rise to a very formidable baby… keep taking the vitamins. Join in! Tell us your story! Ask us that important question! It's easy to do. How? Simply click here Breastfeeding during Pregnancy.